Remember how your Mum would drag out a fading patterned envelope of writing paper and a pen and instruct you to write to distant relatives who sent gifts and well-wishes at Christmas? The letters were short, detailed the minimalist holiday plans of a pre-teen - pool, beach, maybe a trip to the movies - and offered a generous ‘thank you’ for whatever trinket had arrived that year. These days, rather than the musty loose leaves of an unspent writing compendium, our thanks are sent by way of a phone call, text, SnapChat, Facebook post or carefully arranged Instagram picture. We're only three weeks on from Christmas and I feel like so much has happened since, but also nothing at all. It's a funny, heat-hazy, lazy days time of year, isn't it? I'm trying to remind myself to keep this pace and that everything's a little nicer with a please and a thank you. 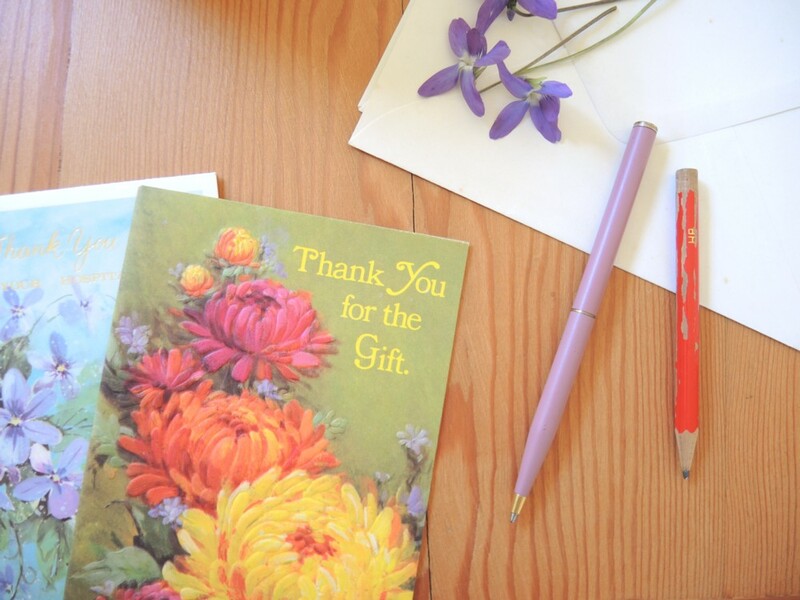 Fountain pens are back, perfect for writing those old-fashioned thank you notes. Reckon it’s hotter than usual? You’d be right. Community connections - your friends, local family, neighbours, other parents at your kid’s school, teammates, the person behind the counter at your corner store - they’re all the people who will have your back in an emergency (see above point). Make sure you smile at them today. Do the stuff Girl Guides do, with a monthly badge challenge, in your inbox. Where are all the bloggers going? Uh oh. Is this true of your children's book collection? Hi Kate, I have always been a fan of thank you notes, but now days I tend to reserve then for the people who I know will really appreciate them and they mostly tend to be older people. I could not follow the link to the where are the bloggers going article? I would be interested to read it. My favourites are certainly dropping off and I am having trouble finding new ideas for my own blog. Perhaps the heat isn't helping. Thanks for pointing out that broken link. I've fixed it and both it and the links within it are well worth a read. I'm always thinking about whether I want to keep the blog, fix it up, make it pay, but mostly I settle with enjoying it for it's own sake and I enjoy the small community of readers and chatters both here and on Instagram or Facebook (your good self among them).